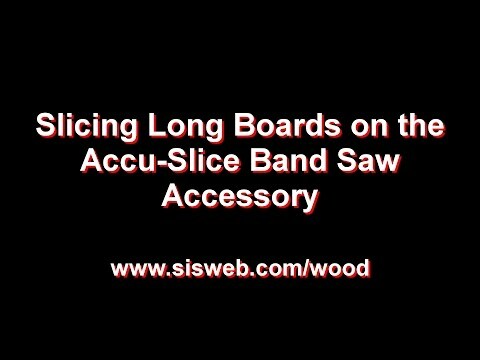 The Accu-Slice band saw accessory was developed to provide a safer method of resawing wood. 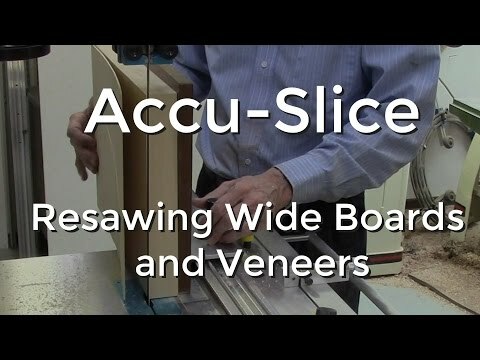 The Accu-Slice System attaches to the band saw table for resawing boards, slicing veneers, and cutting thin strips of wood for feature strips and other segmented wood turning projects. 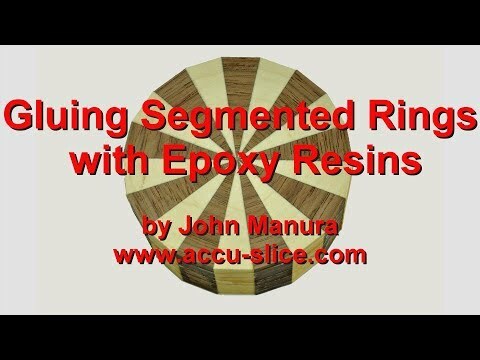 It can also be used to cut thin rings from round, segmented rings. 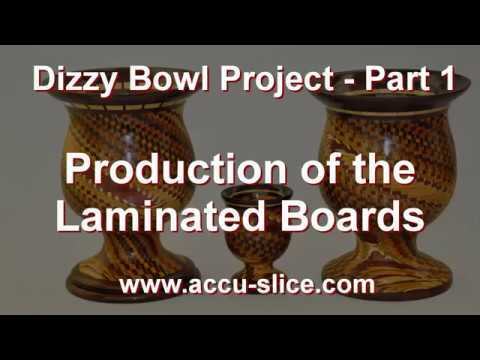 The following five short videos will guide you through the description, the ordering process, and the installation of the Accu-Slice system. Rails for the Accu-Slice system. Lengths from 36" to 96" Long. 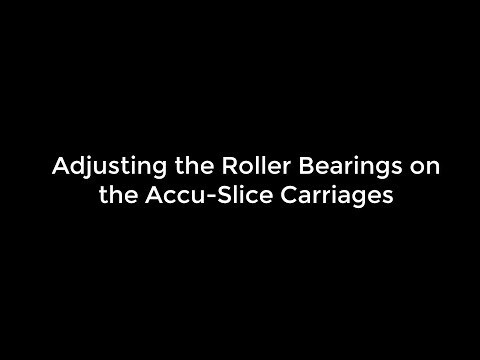 Carriages for the Accu-Slice system. 12" and 24" carriages. Slice wood as thin as 0.010"
Accuracy of cuts better than +/- 0.002"
Dial calibrated in 0.001" divisions and labeled every 0.005"
For a complete system all three (3) components will need to be ordered. ​The system operates much like a wood sawmill in which the wood or board to be cut is attached to a carriage which slides on a rail through the band saw blade. This provides for clean and smooth cuts and at the same time provides for greater safety for the operator. 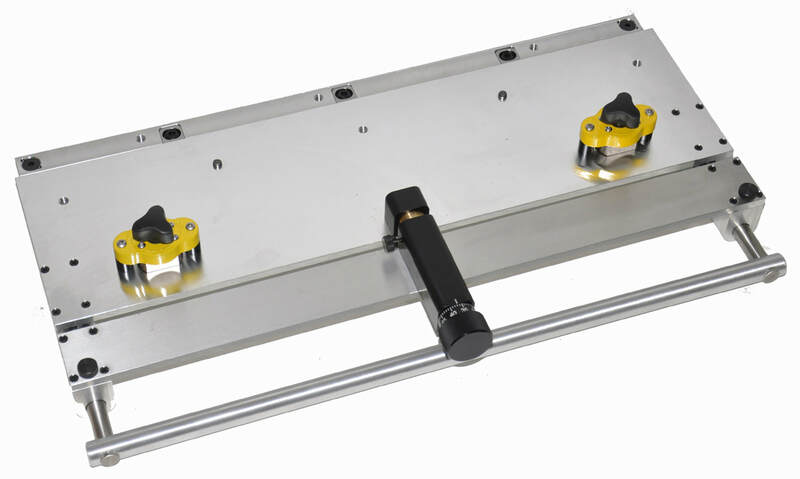 A set of two MagJig 95 clamps with all the mounting hardware is included with the Accu-Slice table. The purpose of the MagJig clamps is to further reduce vibration of the band saw to provide for even smoother cuts. 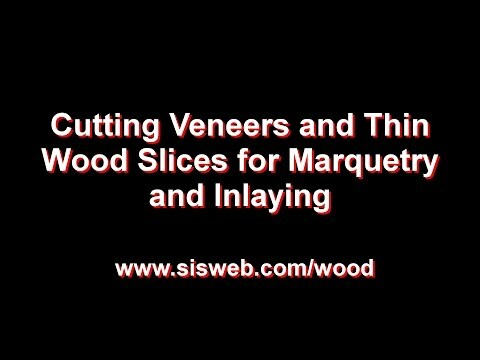 Safer Cutting of Veneers and thin Slices of Wood. With conventional resawing, the wood is both pushed against the fence and also at ninety degrees through the blade. Any change in hand pressure or hand repositioning results in saw marks on the cut piece of wood. This does not occur with the Accu-Slice. 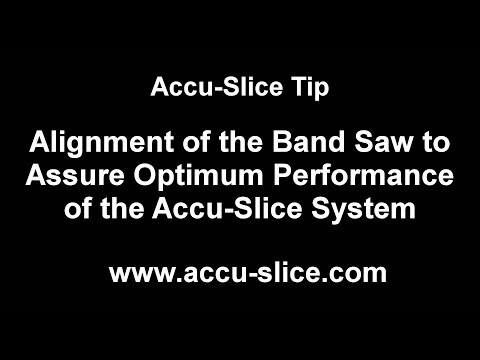 In addition the operation is much safer with the Accu-Slice since the operator's fingers are far removed from the band saw blade. 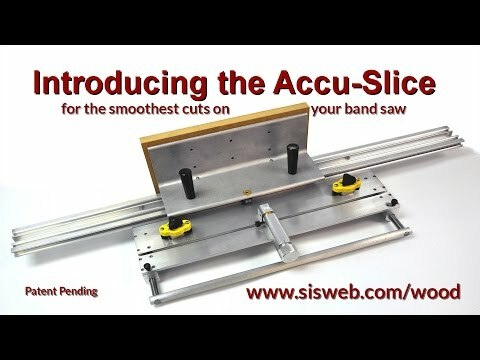 ​There are three models of the Accu-Slice Index table to fit band saw tables from 14" wide to 24.5" wide. The Index Table is constructed from 1/4" thick plate aluminum. The Index Table mounts to the band saw table via a miter bar that locks into the band saw table with 3 quarter turn locking nuts. The system includes both course and fine adjustment. The Index Table also includes two MagJig Clamps and the calibrated Indexing System which provide for greater stability and smoother cuts on the bandsaw. The Indexing System consists of a revolving index wheel with major graduations at five thousandths increments (0.005”) and minor graduations at 0.001” increments. Each full revolution of the indexing wheel advances the wood to be cut fifty thousandths of an inch (0.050”) which is the normal kerf size of many band saw blades, such as the Timber Wolf ½” blades used in our demos. The accuracy and repeatability of the index system is better than +-0.002”. 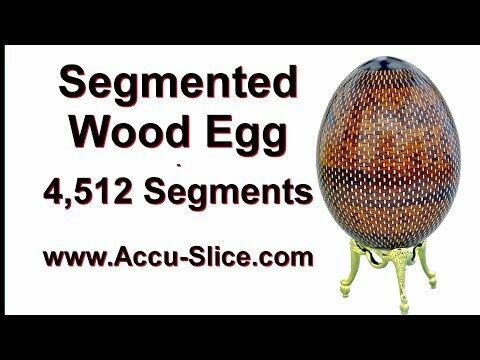 Wood can be sliced down to 0.010” thick with the Accu-Slice as shown in the videos. ​Rails from 36" long up to 96" long are available for the Accu-Slice (36",48", 60” and 96”). They are easily and quickly installed on the indexing table via 3 mounting screws. 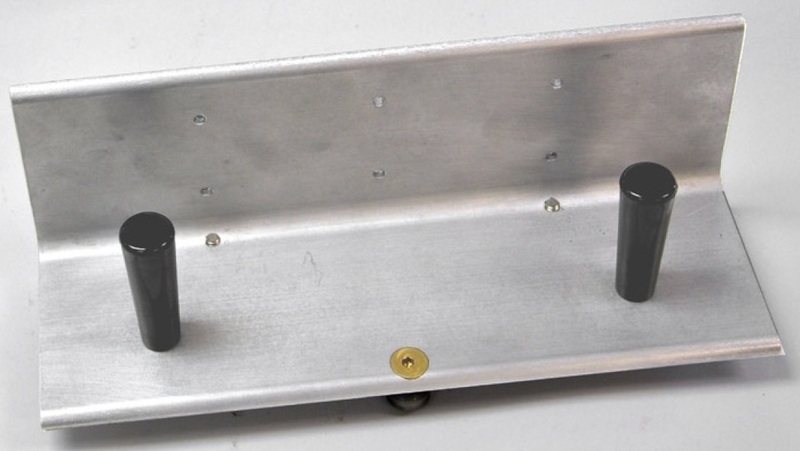 Normally the 36" rail is used with the 12" carriage as well as with the Accu-Wedge and Accu-Slot Systems. If the 24" long carriage is used, it is recommended that the 60" rail be used to enable cutting of boards up to 32" long. ​The two standard carriage assemblies are available and consist of a 90 degree angle bracket, either 12” long x 4” high or 24" long x 4" high. Normally a 6” x 12” or 6" x 24" sacrificial fence made of wood, MDF or plastic is attached to the carriage L-bracket with ½” wood screws. This fence is screwed to the aluminum L bracket and acts as a support to which the wood to be cut is attached. Its purpose is to prevent the operator from inadvertently cutting into the aluminum L bracket. The wood to be cut is attached to this sacrificial fence using either double sided tape or hot melt glue. Our preference has been to use the double sided tape as shown in our videos. On the bottom of the carriage assembly are attached 3 or 4 roller bearings. The roller bearings consist of an inner ball bearing with a polycarbonate plastic outer wheel. These roller bearings slide on the rail to provide for a smooth even cut of your wood pieces. 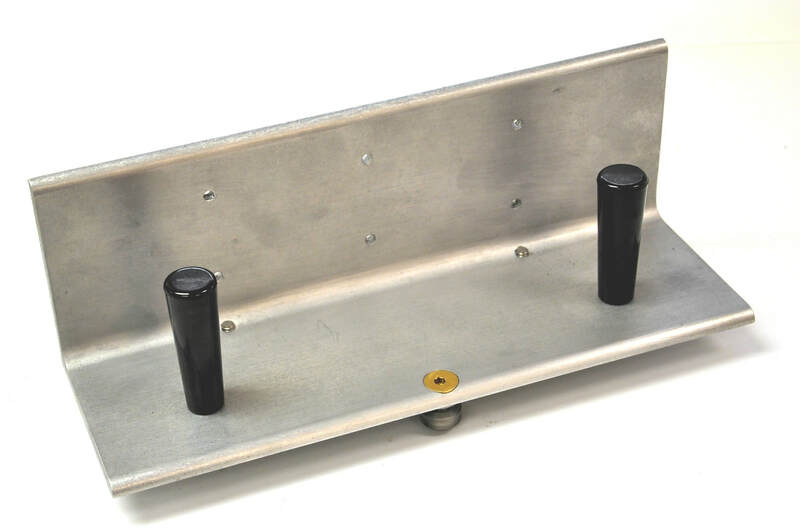 One of the roller bearings is adjustable to enable you to adjust the tightness of the carriage travel on the rail due to operator preference or due to system wear. For cutting longer pieces of wood (greater than 24” in length) it is recommended that the 24” carriage or multiple carriages be mounted onto the rail and joined together with a longer sacrificial fence. This will provide for smoother cuts of these longer boards. The boards to be cut should not extend past the end of the sacrificial fence in order to achieve the best cuts. 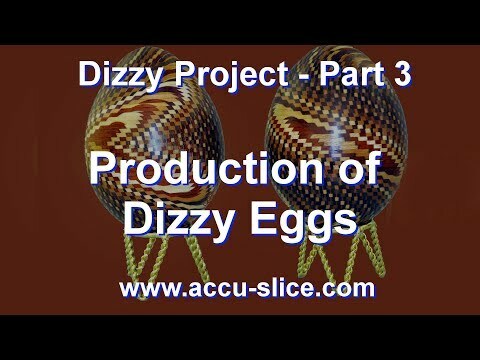 The following are customer and vendor projects completed with the aid of the Accu-Slice System.  Customers are encouraged to submit your projects to this forum. Just send us a graphic of your project along with a description and it will be posted here. Click on the image to see a larger view with a description of the project. 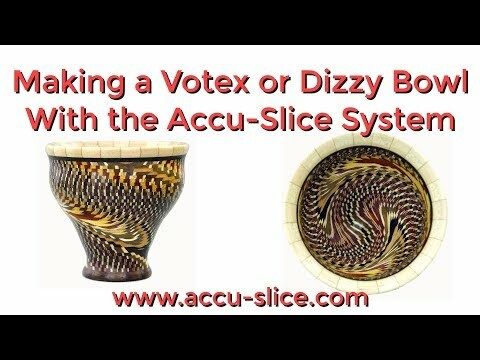 ​Share your comments and experiences with other customers of the Accu-Slice. The following are Accu-Slice customer reviews that were posted here or unsolicited. "I finally had the opportunity to set up use my Accu-Slice system I purchased from you over a year ago. The tool is awesome. Very pleased. Unbelievable accuracy. I purchased both the 12 inch and 24 inch carriages. Also found that my choice of the 48 inch and 96 inch rails make the perfect set up for all size resawing. Your recent videos on attaching wood to the fence are great. I also purchased the McMaster Carr hardware when I saw the video you did awhile ago. 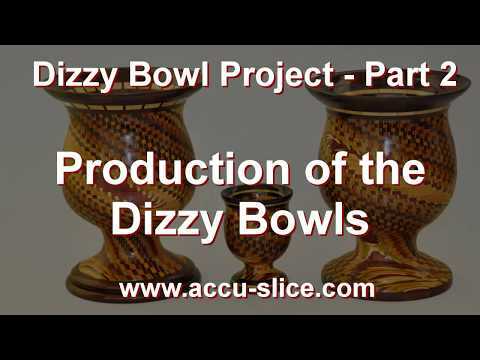 Thanks for all your help when I purchased the Accu-Slice system." "I just wanted to tell you how thrilled I am with my purchase. Everything is so top notch. The design, the repeatability, the quality, even the packaging was so very, very good. I am very impressed with the capabilities of the accu slice system and I can't wait to get my back order for the celtic knot attachment. I am sure I will be happy with it as I am with everything else I have purchased to date. The very first joints I cut were dead on after I calibrated everything per your video. Color me as one satisfied customer." 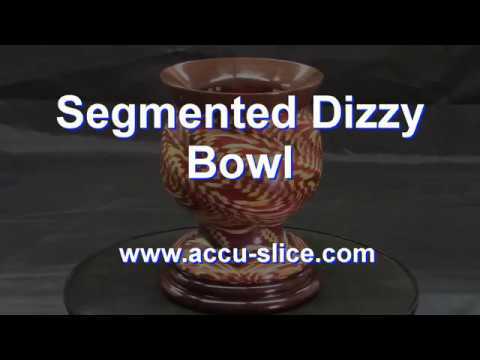 "I purchased the Accu-Slice about six weeks ago. This is the best jig I have ever had. The slices are amazing. Please let me know when the other attachments will be ready for sale." 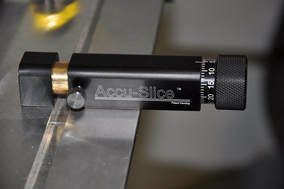 "Your Accu-Slice is dead-on accurate and allows me to make precise and repeatable cuts every time. With my homemade band saw slicing jig I had to cut my pieces oversize and plane them down to size. 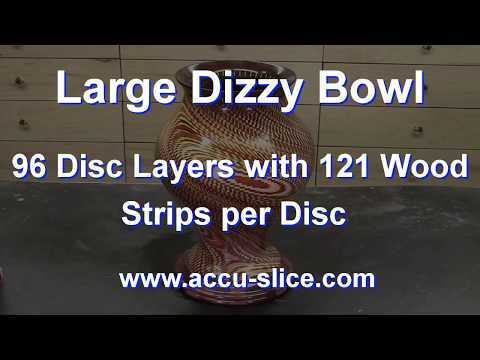 It would take a 2.75” thick blank to get the six 3/16” slices necessary to make one of my “Swirl Bowls”. 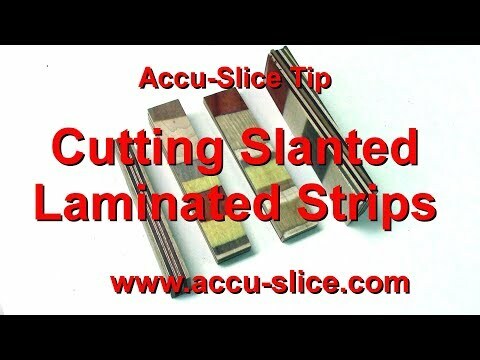 With Accu-slice I can make precise cuts and get ten 3/16” slices from the same blank … and glue them up right off the band saw. (I sent a picture for the Gallery showing the two bowls that I made from a single 11” x 11” x 2.75” glue up). 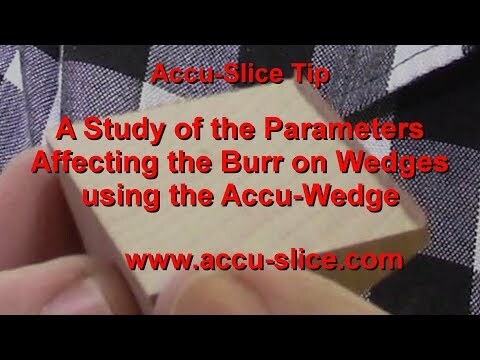 When I first got the Accu-slice it worked as advertised right out of the box. After slicing several 11” blanks it developed a wobble. I contacted Chris Baker at SIS. Chris walked me through several steps to try and correct the problem, when those failed he sent me a return label. Five days later I had my Accu-Slice back and it was in perfect working order. In addition, I was given a link to a video showing John Manura putting “MY” Accu-Slice through the paces. I have been a woodworker since I was 14 years old (that was 62 years ago) and I have never had a better Customer Service experience with any company." ​I want to give you an update from my end. 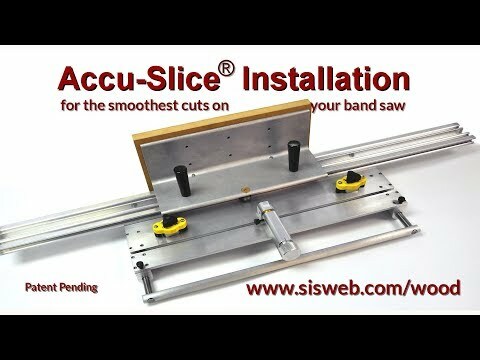 Accu-Slice is working perfectly with the modification that you installed! 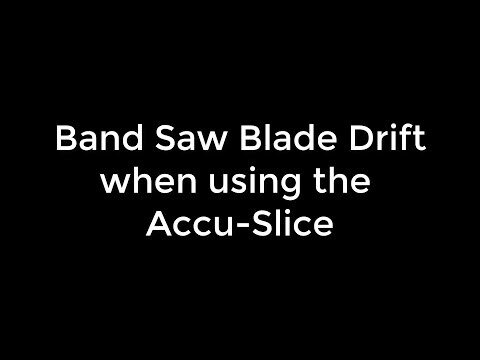 I was having trouble with the drift originally, but I managed to retune everything and after several tries, I have managed to properly setup the blade so it’s cutting perfectly straight. Your jig is giving me higher output pieces. Since the resaw slices are more precise and without ripples, I get 20% more pieces in my resaw process. So I’m very happy that I found your company. I have a feeling it will pay for itself in just few short months. I love this unit, getting a lot of use from it already. Good luck with your project. I hope many more woodworkers will be using your product." - Vitali S.: May 10, 2017"
"I ordered the Accu-Slice system to fit my Powermatic Model 81 Band Saw, I installed the system last weekend, I had To modify my band saw table so the Accu-Slice would work like it is supposed to. The table measured 24 1/8 X 24 1/8 on top but down the sides must have been tapered. I sanded the sides of my band saw table with 80 grit sandpaper and a belt sander, It took the better part of a Day to do it but I have the Accu-Slice system working good now, Thanks for a good and well built product, I watched the video of making celtic knots, When will the flat plate carriage and stop be ready to purchase? Thank You." "I wanted to let you know how pleased I am with my Accu-Slice bandsaw accessory and to send you a couple of pics of my first projects. The first bowl is made of wenge and maple and was accepted into a juried show at the Maryland Federation of Art in Annapolis, MD. The second pic is of some bracelets that I made last week. 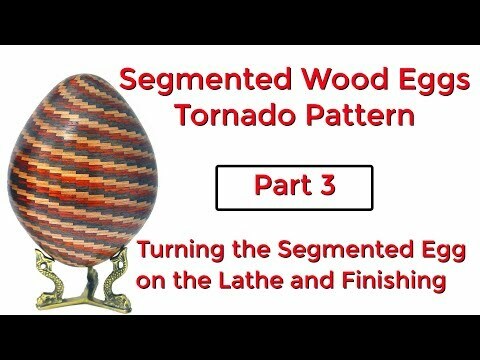 The woods are padauk, yellow heart and maple with black veneer between the segments and ebony bands. There are 48 segments and 48 pieces of veneer in each band. 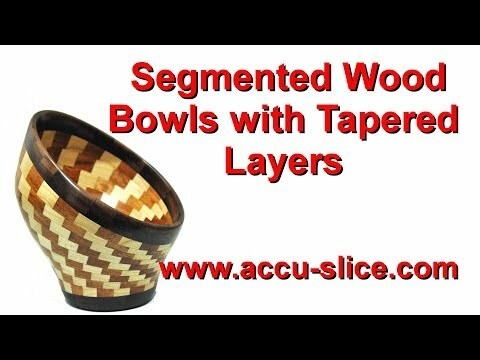 I glued the sliced rings together without any additional sanding after they came off of the bandsaw." Q. 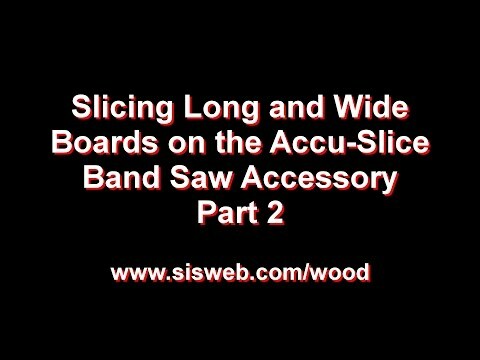 Can the Accu-Slice resaw larger width boards? 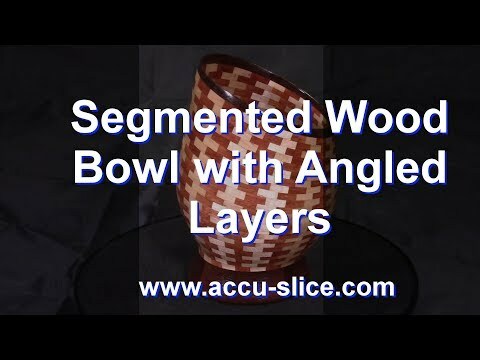 I would like to slice 10” diameter segmented rings. A. Up to this point we had mainly concentrated on slicing boards and discs under 6” wide. 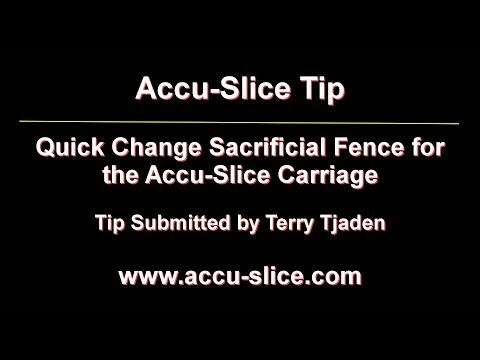 After receiving this question we made a 12” high sacrificial fence for the standard 12” carriage on the Accu-Slice and proceeded to do some testing. No modifications were made to the Accu-Slice system. We used our standard ½” x 8 tpi Timber Wolf blade for all the testing. We then did a number of tests on segmented discs from 9” up to 12” in diameter. 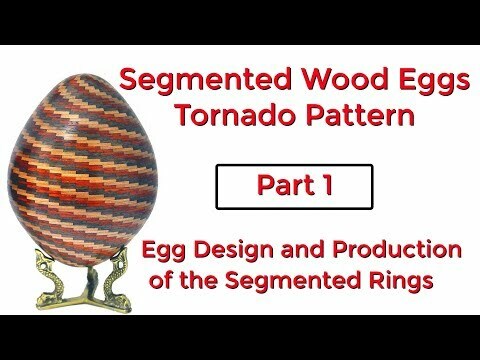 Each segmented disc consisted of 18 segments per disc and was about 1” in thickness and width. The Accu-Slice worked extremely well. After slicing off thin sections of the segmented discs we measured the thickness of the rings around the entire circumference of the rings and all the dimensions were within +/- 0.002” of one another. We made a YouTube video of some of the tests which is located at https://youtu.be/S_TznTi2kOU . Next we cut some 12” wide boards and resawed off thin slices of the board at thicknesses that could be used as veneers. Once again we measured the sliced boards at various points around the perimeter of the cut board and all the measurements were once again within +/- 0.002” of one another and the cut surfaces were quite smooth. We made a YouTube video of the tests which is located at https://youtu.be/aM-fyNV311k . 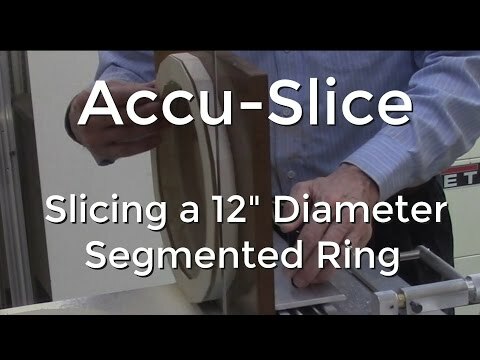 Therefore the Accu-Slice is quite capable of slicing and resawing boards and segmented discs up to 12” in width or diameter with the same +/- 0.002” accuracy we demonstrated with the smaller boards. Q. 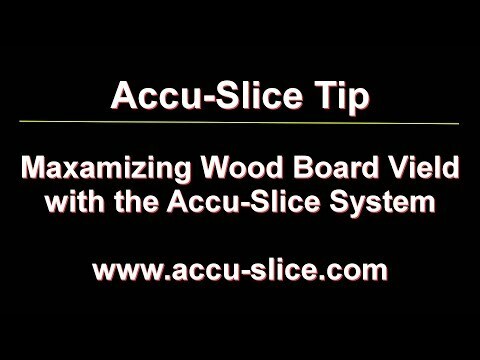 How long of a board can I cut on my Accu-Slice? A. 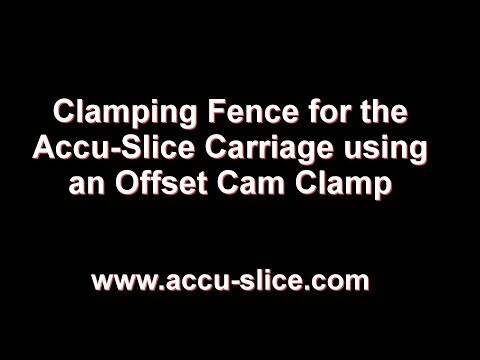 It is determined by both the length of the sacrificial fence on the L-bracket carriage and the Accu-Slice rail length. First the wood board should not exceed the length of the sacrificial fence by more than an inch, otherwise the board will not be stable and you will probably experience some band saw blade drift. Excess overhang also present a problem when the thickness of the board gets down to less than 0.25". The bearings on the L-Bracket carriage are set in from the end of the carriage by about 3" on each side of the carriage. Therefore your can theoretically cut a board 6" longer than half the length of the rail. That is pushing it, so I would recommend that you do not cut a board longer than half the rail length plus 5" with the appropriate sacrificial fence on your L-bracket carriage. Therefore with a 36" rail and a 18" sacrificial fence, you should be able to cut a 18" long board. With a 60" rail with a 24" carriage and a 32" long sacrificial fence I have been able to cut boards 32" long. I always use a stop guide on the ends of the rail to prevent the carriage from sliding off the end of the rail when cutting the boards. Q. Are the MagJig clamps required for the operation of the Accu-Slice? A. When we did our initial design and development of the Accu-Slice, we did not use the MagJig clamps. The system worked quite well without these clamps. During the design and testing process of the Accu-Slice, I attached a couple of spring clamps to hold the Accu-Slice table tighter against the band saw table top to determine if the band saw vibration transferred to the Accu-Slice table could be minimized. With the addition of these spring clamps the band saw cuts appeared to be slightly smoother, but it was a little inconvenient attaching and removing these spring clamps with every cut. So we added the MagJig Clamps to hold the Accu-Slice Table tightly against the band saw table when cutting the wood boards. This clamping action appears to reduce the vibration of the Accu-Slice, which does provide for slightly smoother cuts. This is not critical when cutting small pieces, but when slicing boards greater than 24” long, the MagJig clamps do provide for smoother cuts. The MagJig clamps are now included standard as part of any any Index Table sold by SIS. Q. Will I be able to use different rails and carriages on the standard Accu-Slice system? A. 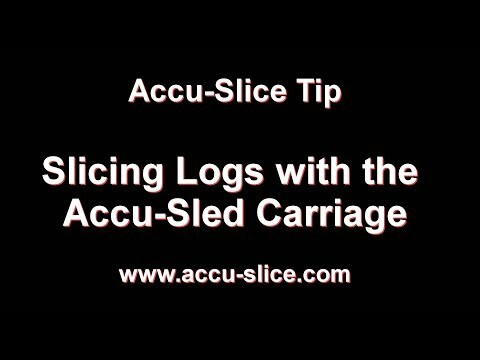 Yes all the rails and carriages are interchangeable on all models of the Accu-Slice. I presently use both the 36" and 60" rails which I frequently change back and forth. Switching the rails only takes a minute or two since the rails are held in place with 3 hex head allen screws and two alignment pins. I use my 36" rail with my 12" carriage and I use my 60" rail with my 24" carriage. I also use the 36" rail with the Accu-Wedge and Accu-Slot systems. Likewise all of the carriages work on all of the rails. Q. What band saw blade have you been most satisfied with? A. I have been using 1/2" wide band saw blades exclusively for all my cutting. I presently use the ½” Timber Wolf blades, 8 tpi with a rake tooth design which seem to work quite well and give nice clean and relatively smooth cuts. I have also tried the 10 and 14 tpi blades. These blades do give a finer cut, but due to the closer tooth spacing tend to gum up more easily especially when cutting the thicker boards. I have determined that the 8 tpi was a good general blade for doing a variety of cuts on boards from 1” thick to 8” thick. I was most satisfied with the 8 tpi rake tooth blade that I had obtained from Timberwolf. The smoothness of the cuts was much better than the carbide tooth blades I had used in the past for resawing. However I do sometimes change the blade. Obviously the more tpi, the better the cut. Although the 8 tpi blade works as a general blade for all applications, if I were just slicing a lot of 1” thick boards, I would probably move to a 10 tpi blade just to get even smoother cuts. Likewise if I was cutting a lot of 9 to 12” wide boards I would probably use a 4 to 6 tpi blade – just to minimize the gumming up of the blade. Q. 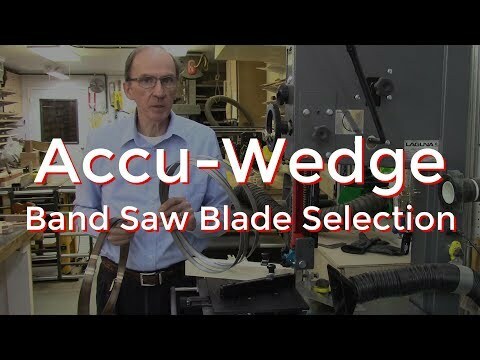 What Band Saw Blades are recommended for use with the Accu-Wedge and Accu-Slot? I have determined that the 3/4" wide blades with 14 tpi do a superb job and produce smooth cuts almost as good as the table saw I used in the past for making segments. The only sanding I needed to do on these segments was to sand the corners to remove the fuzzies. 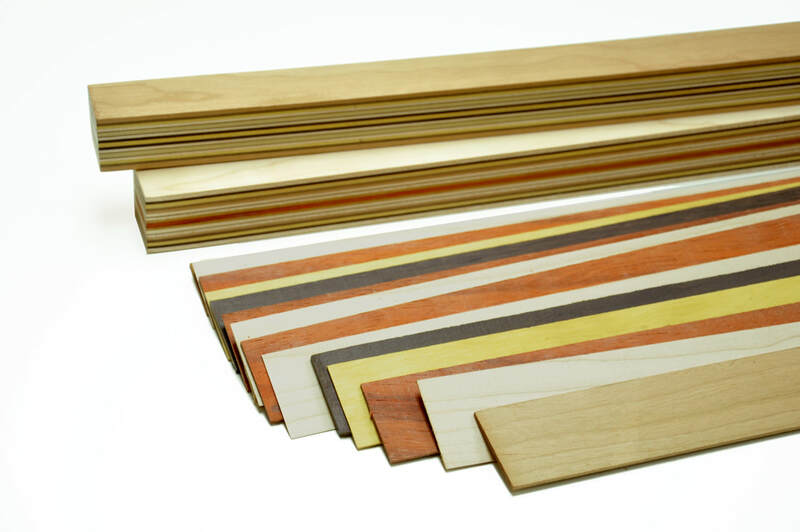 The advantage of cutting the segments on the band saw is the kerf of the band saw blade – a lot less wood is wasted (0.050” kerf on the band saw vs 0.125” kerf on the table saw). For additional information visit the Accu-Wedge pages of this web site.